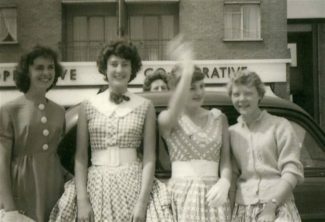 In 1953 we had a street party to celebrate the coronation I remember we had to take our own chair, plate and cup and the mums and dads provided the entertainment. We used to work on the local farms in the school holidays. First we would be hoeing (I hated doing this as it was back breaking), then we would be pea picking and later potato picking. We would start at 6am and would be sent out with a couple of jam sandwiches and a bottle of water. There was a lot of messing around but we had an overseer who would keep us in check. We would be paid each day with a metal token and would check them in at the end of the week. I can’t remember how much each token was worth but I know I thought I was a millionaire. We would also fill our pockets with whatever vegetables we were working on and take them home to our mums. In those days it meant a lot to have a few extra veg and I’m sure the farmer knew but turned a blind eye to what was going on. A lot of the families went hop picking in Kent for the summer holidays I was always envious as it seemed like a real adventure to be sleeping out in the country on straw mattresses in a wooden shed. Another memory (early 50’s) I have is of all the men who worked at Bata’s factory coming home on their bikes. We would walk out to meet our dads and we used to watch the hill for the first bike to come down and then there seemed to be hundreds of them as soon as the dads saw the kids they would start ringing their bells and all the kids would run alongside the bikes. Our dad would get off his bike and we would be given turns on the bike all the way home. We spent a lot of time outside as children and were always in the woods at the bottom of Chadwell Hill or at the Tilbury Fort. Our mum forbade us to go to the riverside as she was aware of the dangers but like most kids we would sneak off when we thought we could get away with it. The gypsies would graze their horses on the marshes and sometimes the horses would venture into the streets. When this happened the boys would chase them down the road and we would have to scatter in all directions. The mums would come out of their houses threatening the boys with all sorts and the dads would be out with their buckets collecting any horse manure for their spuds. We also had cattle escaping but I think the boys were more scared of them as I can’t remember them being chased. Another memory is of the little bakery (near the end of Brennan Road, I think) we would be sent to get a loaf and it used to be so hot you could hardly hold it. I liked doing this errand as I used to pick the crust on the way home. Our entertainment included playing marbles and conkers. We would knock on neighbour’s doors to swap comics. There were two children living next door of similar age and after we had been sent to bed we would quietly open our bedroom windows and swing swapped comics to each other on the end of a rope. 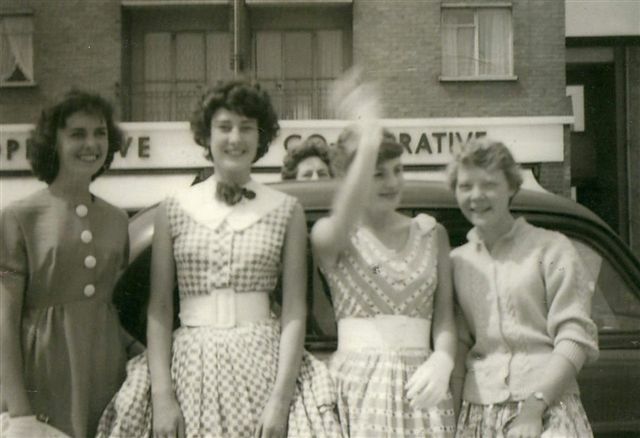 Around 1959-60 I won the Tilbury Carnival Queen competition with my good friend Pam Twigg as Princess. We had our pictures in the Gazette. 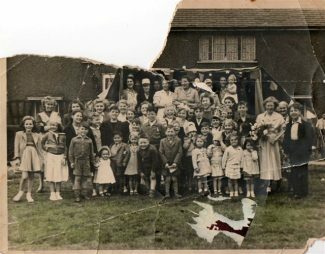 I remember being evacuated during the 1953 floods, and being in a hall in Chadwell waiting to be sent to Orsett Army Camp. I worked at Tilbury Riverside Post Office in the late fifties. Although we had telephones we were also still using Morse code in the Post Office to send messages to Fenchurch Street. It was the time when people were emigrating to Australia on the £10 assisted passage and it was a very emotional time for everyone when the P&O ships sailed. Over the loudspeakers would be playing “We’ll meet again” and “There will always be an England”. I remember being very emotional myself and I didn’t even know anyone on board. 1963 Great Train Robbery. There were posters on the wall of the Post Office and Ticket Office with pictures of the train robbers. I don’t know what I would have done if I had recognised anyone.